Moon Willow Press's Summer Reading Program offers free ebooks every week! Moon Willow Press, a small publishing company committed to helping sustain forests while celebrating the written word, which partners with Eco-Libris to plant trees for its published books, is running this summer a great Summer Reading Program. 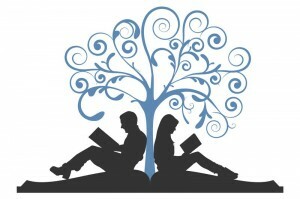 This program, which will run until September 8, 2012 is designed to promote reading and tree-planting. All summer, every weekend, Moon Willow Press will be offering free e-books! Check back weekly. Free Kindle downloads every weekend: Smoke Ghosts and Other Outré Tales is our seventh freebie during our summer reading promotion and is free July 14-15 from Amazon Kindle. Click here for the full schedule of free downloads this summer. Contest to win a *$50.00 Amazon gift card: When you buy any paperback title from Moon Willow Press between June 1 – September 8, you will automatically be entered into our Summer Reading Contest to win a $50.00 gift certificate to Amazon.com. The contest is open to all ages. How does it work? 1. When you buy a paperback book from MWP between June 1 – September 8, Moon Willow Press will enter your name and contact details into a summer reading database. 3. On September 8, Moon Willow Press will draw ten names from a random generator and contact the buyers. 4. Of those ten, we will ask for a statement not to exceed 500 words relating what books you read over the summer and how reading has changed your life. These statements must be emailed to us by the official end of summer: September 21, 2012, midnight Pacific time. 5. Moon Willow Press’s Mary, and others, will judge the ten responses. We will be judging responses by a combination of how many books you’ve read over the summer (please be honest and list each one! ), grammatical accuracy, interesting thought process (can be humorous, motivational, etc. ), and timeliness of your response. Responses received after midnight PDT will be discarded, and those entrants will be ineligible to win. 6. All final 10 entries will win a free Moon Willow Press annual membership. 7. The winner and response will be announced September 24th, and the gift card will be emailed to the winner on September 25. Reduced Prices: All 2011 paperbacks have been reduced in price. Click our Book Catalog for more information. Tree-planting initiative: A portion of all sales during this time will be donated to Eco-Libris: Plant a tree for each book you read.